In the world of growing uncertainty, of new business models and new markets, new pressures and new expectations which we find ourselves in, there’s still something soothingly stable – the New York-London axis, or NYLon. The term appears in the Global 2001 report that ranks the 200 largest global law firms by revenue. This first-ever global ranking includes firms from 94 countries spread across as many as 571 cities; and of these, 138 have an office in New York. London with its 122 firms occupies the second position. Based on this data, more than a half of major internationally focused law firms rotate around the NYLon axis, notwithstanding the significant investments numerous firms are now making into Asia-Pacific markets, in particular Hong Kong and Seoul. The fact that the world’s top clients are gravitating towards New York and London is also confirmed by the latest Global Financial Centres Index by Z/Yen. Here, London and New York remain the first and the second leading financial centres respectively, followed by Singapore, Hong Kong and Tokyo2, thus testifying to the massive economic and political influence of the two capitals on the global scale. Another key feature of today’s legal landscape is an increase in overseas investors. According to THE FUTURE OF LEGAL SERVICES report published by the Law Society of England and Wales, in the UK there’s a new legion of foreign investors from countries such as China, Russia and India4. Such a shift has already significantly changed global business, contributed to removing legal differences and led to more cross-country partnerships. One of such partnerships between foreign lawyers and UK solicitors is YangTze Law – the UK’s first wholly Chinese-owned law firm established as an Alternative Business Structure (ABS) in April 2015. The firm targets Chinese companies looking to invest in the UK and Europe. YangTze Law, based in London and regulated by the Solicitors Regulation Authority, is set up in association with Michelmores LLP (law firm in Exeter), which provides English law advice. The Executive Director and the founder of Yangtze Law is Steve Ng, who being a foreign licensed attorney (Hong Kong, 1981) qualified as a solicitor in England and Wales in 1985, and as an advocate and solicitor in Singapore in 19955. This goes to prove that we are working in a global market for commercial legal services. The arrival in London of a new type of legal service provider, its collaboration with an English law firm underlines the importance of London as a global legal hub and the attractiveness of the UK jurisdiction. That also suggests the idea that with a further surge in cross-border transactional activity, English law will remain the law of choice for most of these transactions. So, for foreign lawyers or students wishing to qualify in a jurisdiction other than their own, there are two main options – the New York Bar, or the QLTS (to be replaced by the SQE in 2020) for qualifying as solicitors of England and Wales. Are you considering sitting one of them? – Then you are moving in the right direction! Don’t be afraid to venture out of your comfort zone and enjoy the journey ahead. To help you decide which of the exams to take – the Qualified Lawyers Transfer Scheme (QLTS) or the New York Bar Examination, it is important to note that there are recent innovations in both of these. However, changes in the New York Bar Examination are already in effect (being introduced in July 2016), while the English qualifying exam for foreign lawyers and UK barristers still remains in place – with the prospect of being replaced by the Solicitors Qualifying Examination (SQE) in late 2020. In contrast, the requirements for being admitted as a solicitor in England and Wales are reduced to a minimum and represented by i) being a qualified lawyer in a recognised jurisdiction, and ii) successfully completing the QLTS assessments. The list of recognised jurisdictions for the purpose of the QLTS exam has been recently extended to include those of countries like Iran, Kuwait, Morocco, Sierra Leone, Tunisia and many more. Let’s have a closer look at the peculiarities of qualifying as a solicitor via the Qualified Lawyers Transfer Scheme. As outlined by the Solicitors Regulation Authority (SRA) that regulates solicitors in England and Wales8, the QLTS assessment has 2 stages, a Multiple Choice Test (MCT) and an Objective Structured Clinical Examination (OSCE). The MCT targets the candidates’ knowledge of fundamental legal principles and rules of their application in 11 areas. It is a 5.5 hour test consisting of 180 multiple-choice questions (in 2 sessions of 2 hours 45 minutes each, with 90 questions in each session) which assesses Part A of the Day One Outcomes. For convenience, the OSCE exam is divided into 2 parts and conducted over a few days. The New York Bar Examination consists of the Uniform Bar Examination (UBE) and is more about competence and writing skills. The UBE comprises the Multistate Bar Examination (MBE), the Multistate Performance Test (MPT), and the Multistate Essay Examination (MEE). The first UBE component – the MPT – consists of two 90-minute tasks. The MPT (taken on Day 1) requires examinees to work with source documents in the case in order to elicit relevant facts, analyze materials, resolve a client’s problem, communicate effectively in writing, while being limited in time. The Multistate Essay Examination (MEE, taken on Day 1) consists of six 30-minute questions designed to assess the examinee’s ability to communicate effectively in writing. The goal of the MEE is to test the examinee’s ability to (1) identify legal issues in a hypothetical situation; (2) separate relevant from irrelevant material; (3) present a clear and well-organized composition with an analysis of relevant issues; and (4) demonstrate an understanding of legal principles relevant to the solution of the issue at hand. As illustrated by their comparative analysis, the New York Bar Examination, unlike the QLTS exam, does not seek to assess the candidates’ practical skills. Naturally, its stress on testing the examinees’ knowledge determines the approaches adopted by the US legal training providers. In contrast, the UK QLTS training providers (for example, OSCEsmart13) develop learning techniques aimed at both enhancing the candidates’ legal knowledge thus preparing them for a Multiple Choice Test (stage 1 of the QLTS assessment), and honing their practical legal skills tested at OSCE (stage 2 of the QLTS assessment). So, your decision as for the route to lawyer qualification is crucial in that it governs your choice of training providers and study materials. 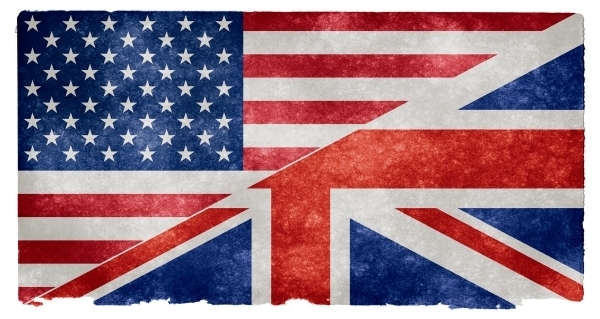 Compared to the US, English law degrees are recognised in many countries throughout the world. This is because the English legal system of Common Law serves as the basis of many countries' legal systems, among them Brunei, Hong Kong, India, Malaysia, Pakistan, Singapore and others (the complete list currently includes 18 countries, some of them requiring additional qualifications or training). Today, common law jurisdictions or systems mixed with civil law house 1/3 of the Earth’s population thus making English Common Law the most common legal system in the world. That’s why one of distinctive features of qualifying as a solicitor in England and Wales is remarkable flexibility that provides access to international markets, in particular those of Middle East and Asia which are now experiencing a significant growth. According to the findings in the Report into the global competitiveness of the England and Wales solicitor qualification published by the Law Society12, the New York Bar is well-established though rather difficult to pass, especially for foreign-educated individuals. The pass rate for the former is slightly over 30 per cent. At the same time, in February 2015 (MCE) and November-December 2014 (OSCE) when the Report above was being developed, the pass rate for the QLTS MCE averaged 56%, and for the QLTS OSCE – 80.45%. Making an attempt at comparing cross-qualifications, the Report points out that lawyers with the New York Bar qualification make up the largest numbers taking and passing the QLTS since 2010: they account for 11 per cent of those applying and 17 per cent of those admitted, which testifies to their recognition of the professional advantages offered by English qualification. Meanwhile, in 2013, UK candidates accounted for only 3.6 per cent (566 solicitors) of the 15,846 candidates taking the New York Bar Exam. There’s no denying the fact that lawyer qualifications granted by London and New York are seen as the main international rivals. While the US attracts the highest numbers of international students each year, qualifying for admission as a solicitor of England and Wales opens doors and opportunities for career enhancement worldwide. Whichever route you follow, a responsible choice of preparation materials and training providers will to a great extent determine how far you get. OSCEsmart is a QLTS training provider offering an individually tailored training plan with a strong focus on polishing the candidate’s practical skills. The QLTS preparation materials include thoroughly developed online mock exams, concise video lectures and notes. Being carried out via Skype meetings, email interactions and copyrighted online course readers, the training can be carried out from around the world and at any time you find suitable.